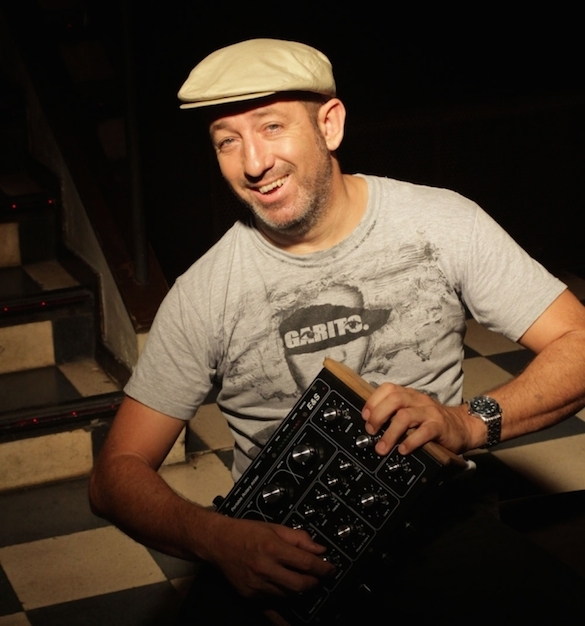 Q: When did you first DJ at the Garito Cafe and what makes it so special? A: Mats: I think it was around 2008 when I first came of to Garito and I usually come over twice every year. 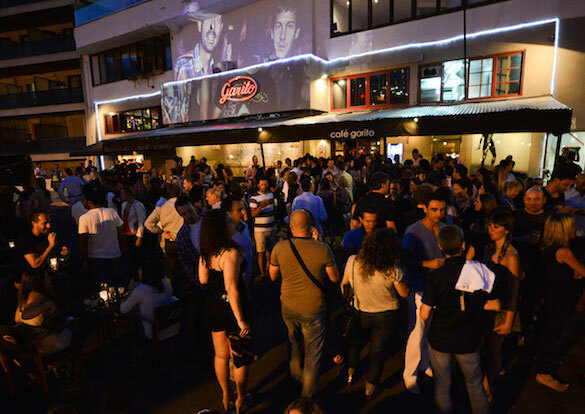 The magic of this venue has a lot to do with Nacho Velasco, the founder, owner and resident DJ at Garito. He basically built a musical place after his own personal needs but that is very welcoming to everybody. Q: What is your is your connection to the Garito Cafe and Nacho? 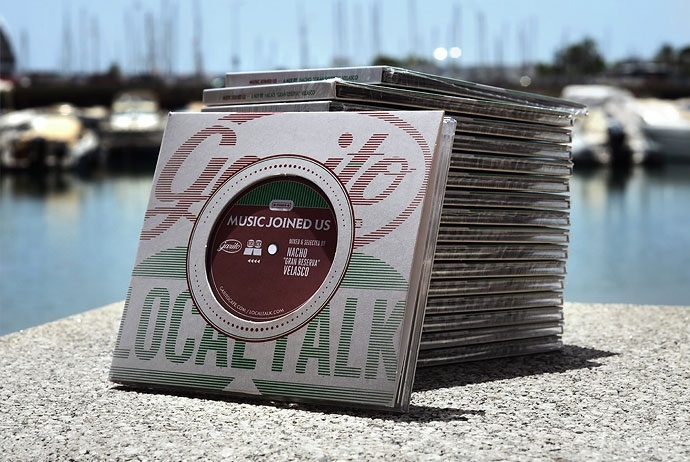 Q: How did the idea of ”Local Talk vs Garito – Music Joined Us” come about? A: The idea came about when Nacho and Garito wanted to do something special for their 16th anniversary party. We thought this would be the perfect way to spread the news about Garito outside of Mallorca. Q: Did you find it hard to select the most relevant Local Talk back catalogue tunes for the comp? 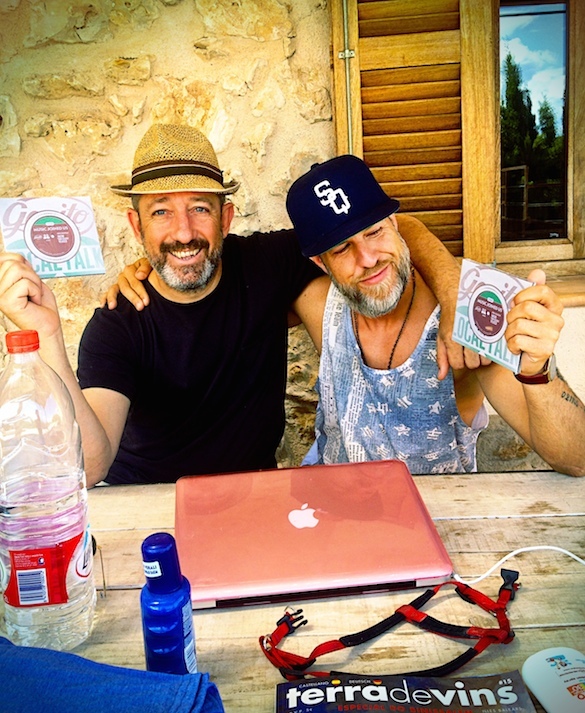 A: Not for us, Nacho picked the tracks and we told him he could pick whatever he wanted from the LT back catalogue. Q: Bassfort is where it all started for Local Talk, are there any plans to get the Kyodai brothers and Nacho to collaborate under the Bassfort guise again? Q: Local Talk is a well established and very successful house label, what do you assign it’s ongoing success to. A: We hope to be we’re a very consistent label/brand that is always relevant regardless of musical trends and styles. We’re always curious of new styles but if something old school that is good enough turns up we won’t be afraid to put that out either. Its simply about good music really and I think we’ve proven that over the years we’ve been around. Q: Are either of you in the studio working on some of your own productions or edits. A: Tooli – I’m working on some stuff, actually I have tons of tracks I have to finish, just need to find the time really but I’m slowly getting there. There stuff coming in 2015, be ready! Q: Have you any plans or confirmed bookings for Dublin in the near future? A: There’s talks about coming back to Dublin, hopefully it will happen soon. Both of us love the city and we had a really really good time when we played last year. Q: You DJ’d at the Southport Weekender in October this year. Did you enjoy the being back at the weekender in the old venue. Did you bust some move while DJing? Q: Any exciting plans in the future? A: Lot’s of great music on it’s way. Next up is a Crackazat 12”, the second single from the forthcoming album that’s out early 2015 (it’s a KILLER album). The we’re ending 2014 with a new HNNY release, it’s called Noth… First release of 2015 will be from Corrado Bucci, there’s a new LTX coming too + we’ve been talking about a new compilation series we want to do in 2015. All in all it looks like a very good year for fans of Local Talk….oh, we’ve got new merch coming – new t-shirts are on their way. Gig wise – We’re playing at Panorama Bar with Kyodai and Art Of Tones in January, that’s going to be very exciting! Q: Are there any artists that really excite you that you haven’t yet released on the label and that you would like to. Q: How is the scene in Sweden right now? A: Techno, techno, techno and loads of young DJs that basically want to move away from Stockholm to Berlin. We prefer to play clubs outside of Stockholm to be honest. Q: What’s been your best party in 2014 so far? A: The label night at Watergate with HNNY , Kyodai and our friends Tim Vitá, Oliver Gehrmann and Xaver Hirsch (the trio behind LT041, Trinity EP) was really cool and something we’d love to do again.